Small entrances lead to grand results when expertise and techniques are of the upmost professional quality. The Tocaloma Spa and Salon is such a place. Located within the complex of the Hilton Pointe Tapatio Resort, the small courtyard and lobby of the spa may seem a bit lacking in the amenities provided by larger spas, but once you are greeted by the professional staff, your worries subside and the offerings abound. Slip on the robe and settle into the courtyard where the staff will bring you a refreshing green smoothie, enhanced by herbs, cucumber, and ingredients that refresh and prepare you for the treatment you choose. Tocaloma brings the outside in with its rejuvenating treatments that incorporate indigenous herbs and rituals. The Tocaloma Signature Massage is a great way to start. This 80 minute treatment begins with a decadent massage custom designed with your specific needs. Next is the hot paraffin aromatherapy wax for your hands. A scalp massage completes the ultimate relaxation. 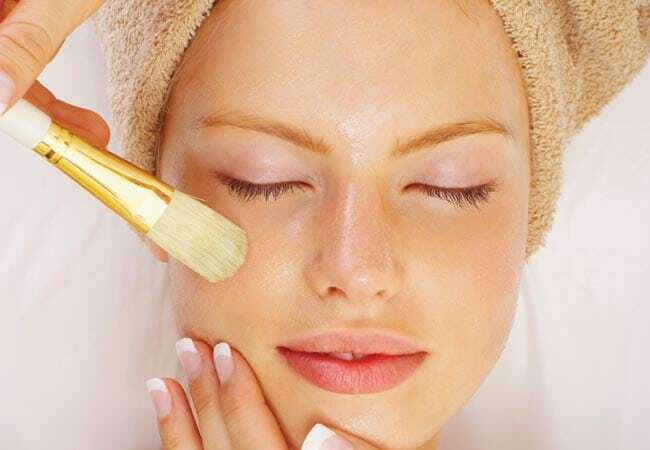 Facials include the Vita Cure 5 Phase Firming, Anti-wrinkle, Customized, from the perfect blend of oils and scrubs to restore and uplift all types of skin for men or women. These include healthy peptides, growth factor activators and proteins. Pedicures and Manicures specifically designed for any occasion are available. The Hot Stone Massage uses ancient basalt stones heated to just the right temperature to soothe any tired muscles and stress. A full service salon is available for cut and color, shampoo and dry. All the pools and facilities at the resort are available to patrons of the spa. Begin your journey to health and beauty at the Tocaloma Spa and Salon.